(Default) ESE (Extensible Storage Engine aka Esent) - Microsoft storage engine available in Windows. More info here. Voron - custom made managed storage engine created by Hibernating Rhinos. You can watch Level 400 - Diving into Voron talk by Oren Eini if you are interested in details about Voron. 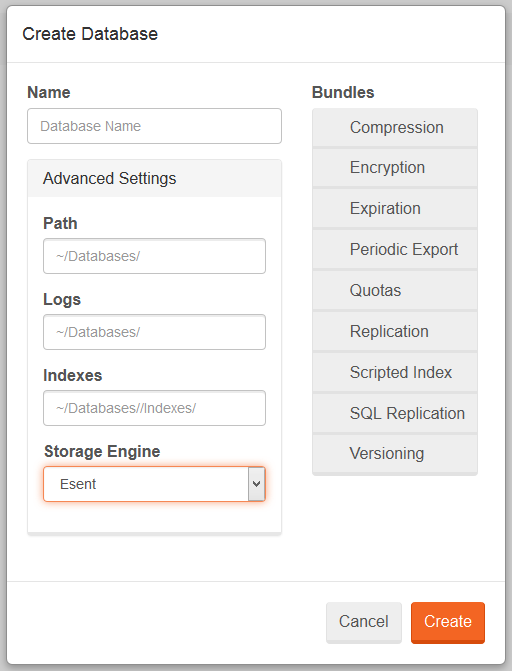 In order to change a storage engine in the Studio, while you are creating a database, go to Advanced Settings and change Storage Engine according to your needs.